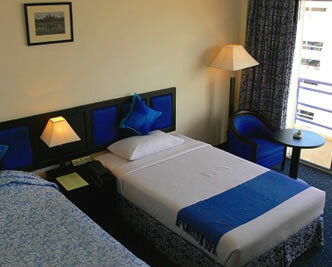 This Siem Reap hotel is conveniently situated in the center of town with major attractions nearby. With its strategic location along Salakangseng Village and Khum Svay Dangkoum, this makes the hotel easily accessible from the international airport, city center and the Angkor temples sites nearby. Orient d’Angkor Hotel in Siem Reap offer excellent luxuries and comforts with the finest accommodation in Siem Reap, Cambodia. The hotel offers 28 luxuriously designed rooms equipped with modern amenities. Enjoy a superb dining experience at Orient d’Angkor Hotel in Siem Reap with a variety of Asian and Western cuisines or simply relax and chill out with fine brands of wines and champagnes. Glam up your dining experience with classic martinis, contemporary cocktails and fresh fruit juices at the Orient Monalisa Bar; the exotic fare constitutes of dessert and cheese dishes, a variety of light snacks and Japanese shochu. For guests’ comfort, this hotel also has an outdoor swimming pool and spa services to soothe the day away. For an enjoyable stay, guest can make instant online reservations for your next accommodation in Siem Reap. Orient D'Angkor Hotel in larger map.